Find My Workspace lists over 95% of the business centres market in Long Eaton. Simply click Request Quote to check pricing for one office, or Add to Basket for multiple offices. This high quality, professional business centre provides a corporate style for your business that is flexible and affordable. 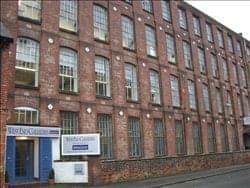 The offices are light and airy and decorated to a high spec to provide comfort in a professional environment. There is a range of meeting rooms for private hire by the hour, day or week. 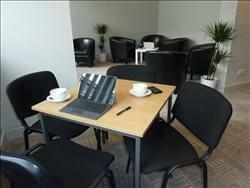 Rooms include boardroom/conference/training room (18 person/boardroom style/30 theatre style), meeting rooms 1-12 people, day offices, coworker spaces/hot desks and serviced offices for permanent rent. The business lounge with free refreshments and wifi is available to all users. Admin assistance and print station as well as virtual office options.